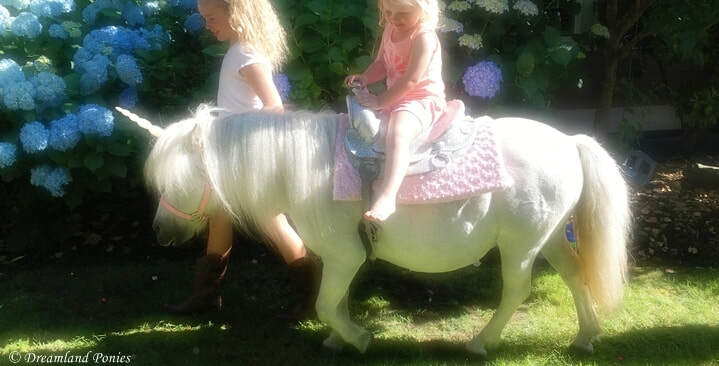 Dreamland Ponies is an award winning company and the greater Seattle area's choice for premier, upscale pony rides, parties, and entertainment. 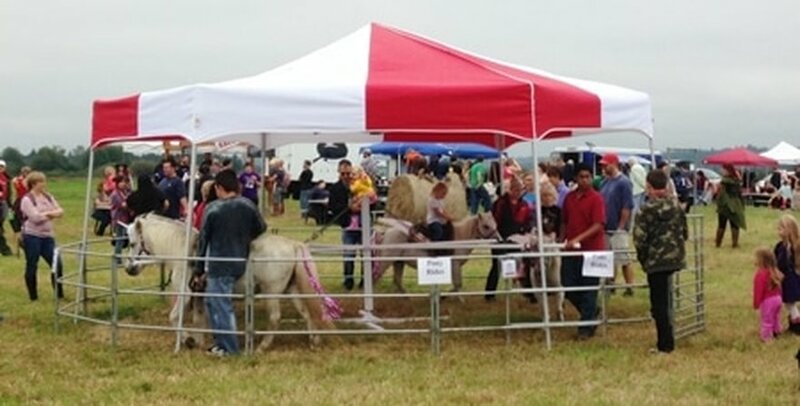 Dreamland Ponies provides stunning, immaculate, show quality, sweet, and extremely gentle ponies... Perfect for parties or celebrations at your home, school, church or public event. Dreamland Ponies lovingly donates a portion of all pony party proceeds to help children with chronic and terminal illnesses.​ We have been providing our elite pony services for over 14 years, and are fully licensed and insured. Dreamland Ponies are the perfect addition to any party for both children and adults! ​We bring our beautiful, sparkling clean, show quality ponies to you. 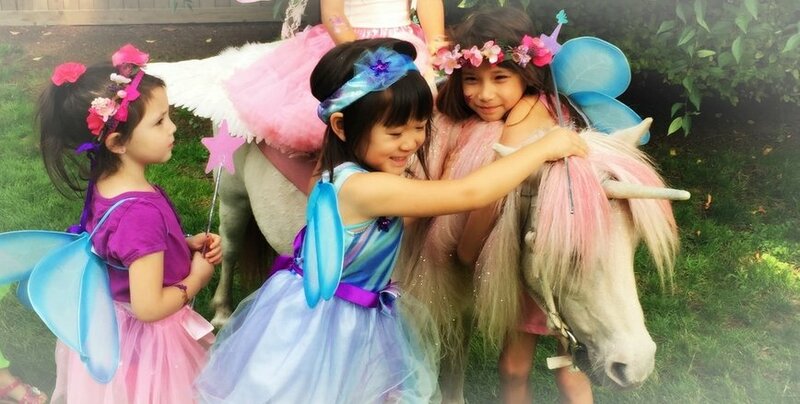 We dress our ponies to match any theme you can dream of including My Little Pony, Unicorns, Pegasus, Princess, Fairies and more! Our beautiful ponies are available for hire, year-round at the location of your choice. Our ponies are wonderful for Community Events, Festivals, TV, Film, Media, Grand Openings, Church Socials, Company Picnics, Schools, Fundraisers or any Special Occasion. Real-life, majestic unicorns for hire! 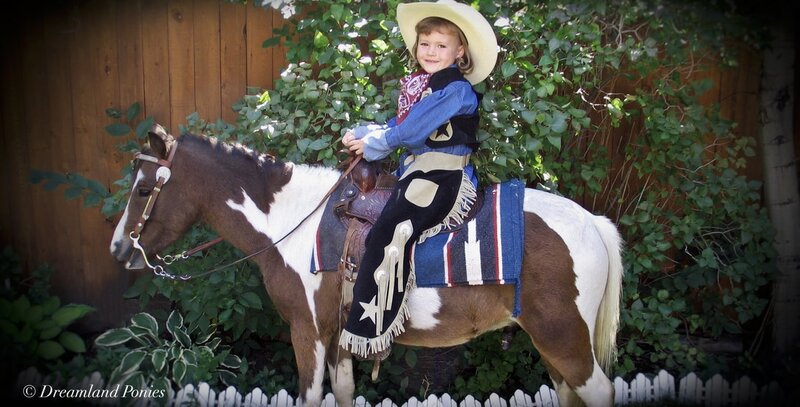 Children have always loved ponies and having their picture taken on a pony... A tradition going back over 100 years! Dreamland Ponies has helped continue this wonderful tradition with their pony photography services, which create memories you will cherish for a lifetime. Teaching children a solid foundation of equine knowledge is something we are very passionate about it... Starting from the ground up, we teach children hands- on about safety around horses, caring for horses, riding horses, proper tack, different horse and pony breeds, parts of the horse and more! Enhance your wedding and make the entrance that dreams are made of... Have our gorgeous, majestic white horses, ponies or unicorns carry you, your flower girl or ring bearer down the aisle, or bring them in with our stunning white Cinderella carriage, led by a beautiful attendant dressed to suit.